Mama Love: Super Undies Review and GIVEAWAY! Well, its about that time (again)........ POTTY TRAINING Ugh. What’s the best method to use, and what product should you use?! Thankfully, I found Super Undies! Super Undies helps your little one turn into a Big Kid Potty Using Machine!!! "Super Undies Pull-On Potty Training Pants are the only pull on style potty training pants out there with a reliable way of boosting absorption! Super Undies Pull-On Potty Training Pants are completely waterproof through the wet zone, but made with super stretchy side tabs for easy on and off action. This makes them very versatile and super easy to use! Super Undies Pull-On Potty Training Pants have a layer of micro-fiber built in, making them suitable as a trickle trainer. Now re-designed with a pass through pocket that runs strategically from the front to the back this allows you to customize your absorption. Use our Step-up Inserts to boost absorption as needed too! Now MOM can take full control of her potty training plan, and the natural consequences of an accident as she is ready. They make the child feel wet when there has been an accident. Super Undies Pull-On Potty Training Pants are most like real underwear. Super Undies Pull-On Potty Training Pants cause an easier transition from cloth diapers into the potty training mindset. You can make use of Super Undies Step-Up Inserts for added absorbency! If you plan on using more than 1-2 inserts, you may wish to increase the sizing suggested in the size tab. Do you really need Super Undies Pull-On Potty Training Pants? 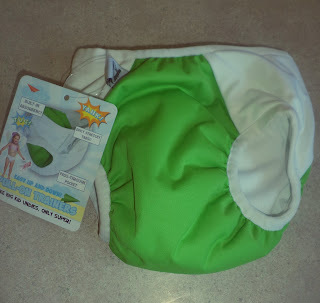 Super Undies Pull-On Potty Training Pants help to combat the disposable trap mothers can fall into. The disposables take awareness of elimination away from the child, leaving you potty training with nothing more than communication. Super Undies Pull-On Potty Training Pants help give moms another tool to use in their potty training arsenal. Now children can feel wet, you can still be communicating, and when things aren't going as planned you can up the consequence and purposefully cause your child to leak." I truly love our super undies, I'm currently potty training my youngest daughter and it's been rough, I've already potty trained 2 other children you would think this would be a walk in the park right? WRONG. My youngest is totally different than my other two and quite stubborn, she wants to potty train but did not want to use disposable pull ups (that's what we originally tried) and honestly I hate disposable training pants they are no different than a diaper at all, but i needed some kind of protection for my carpets, furniture, car and etc! So once we received our Super Undies we immediately tried them on and she loved them! We've had them for a few days now and she has not had an accident at all she is excited to wear big girl undies and use the potty! (and even if she did have an accident it wouldn't be a catastrophe since these lovely trainers are waterproof) I honestly think Super Undies helped give her that last push to full on potty training and hopefully there is no going back! Super Undies Pull On Training Pants are fantastic! They feel like real underwear and your little one will feel wet when they go in them, but they are also waterproof saving you from total potty training messes. And you can make them even more absorbent waterproof by adding in the Super Undies inserts. This allows mom to decide how much of an absorbency she wants in the pant, or even you could start with a higher one and work your way down to a lighter one. They also have stretchy side tabs so that they are easy for your little one to pull on and off. And they come in Fun, bright colors! So your little one can truly feel like a super hero in their Super Undies! 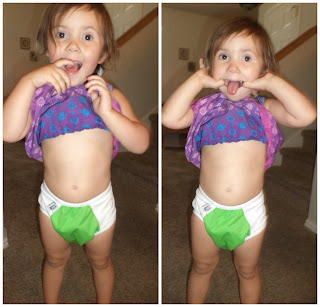 Check out Super Undies and turn your potty trainer into a super hero!